Time flies when you are having fun, and we have been having a great time, so busy we have been unable to update the blog before today. We had planned our arrival at the Buffalo campground based on a busy Labor day week end, and as of Friday at noon were questioning if anyone one was actually going to show up for the party. By happy hour we knew there would be a crowd and by dark most of the campsites were filled with holiday revelers. The people watching was very good, with all of the weekend campers going through the set up camp routine. One of our neighbors had a 4 ft. carpenters level he was using to get his trailer set up just right. This same neighbor pulled out on Saturday morning, only to be replaced in the afternoon but another hopeful group. With warm and sunny temperatures on the Weekend the kids (of all sizes) in the campground went nuts float tubing in the river. There was a constant stream of floats, rafts, inner tubes, canoes and row boats past our campsite in the river. There were even a few people out trying to fish, but with all the river traffics I think the fish were cowering on the bottom and in any deep holes wondering what the heck had happened to their quiet little home. Sunday was a repeat of saturday on the river, with it seemed even bigger crowds. We went for a drive to tour Henry's lake and the surrounding area on Sunday afternoon. We had a couple of wrong turns before we found the correct road, but eventually got on the road we wanted. One of the first things we came across was a local horse show. They had several rings going at once, with cutting and roping horse rings, and the traditional horse show ring going all at once. Leaving the Henry's lake road we took a brief detour into Montana, taking the Red Rock Pass road to the pass and a bit beyond. The road was a good gravel road and we made good time on the way. 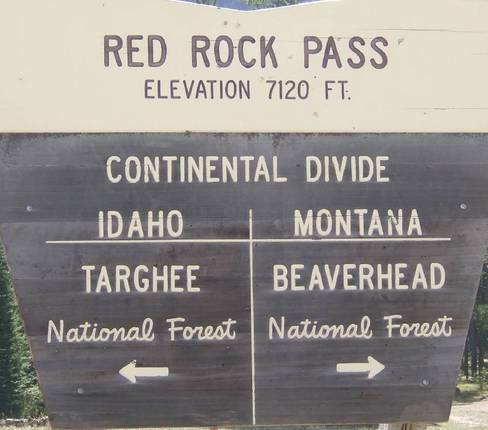 The sign at the summit. Montana big skies, not much different the the view from the other side though. The view of Henry's Lake, ID. lots of cows and clouds. We found a small county park/camground/boat ramp just down the road from here and it was free. No services, but easy to get into and out of. an ideal location to file away for future reference. Boat launch on site. Rest rooms. No water that we saw. But FREE and Great views of the lake and mountains. You can go to the southeast corner of the lake to the State Park and pay $16 to $21 for a site if you want. (Ron here) I added this campsite listing to the www.freecampgrounds.com site. 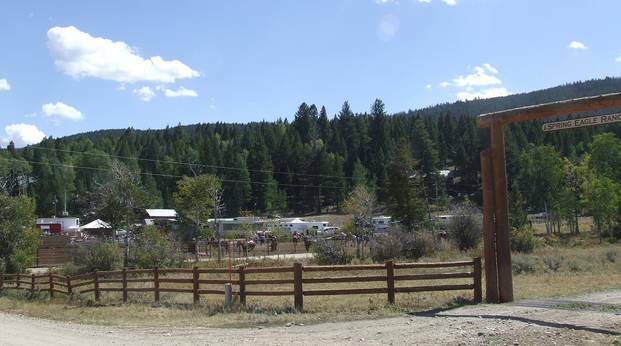 The campground is on the point in the center west side just up from the bend in the road. It is paved on the north side to the park. They are planting trees between the sites. The above pic is from Google Earth and the park now has more sites up toward the road. 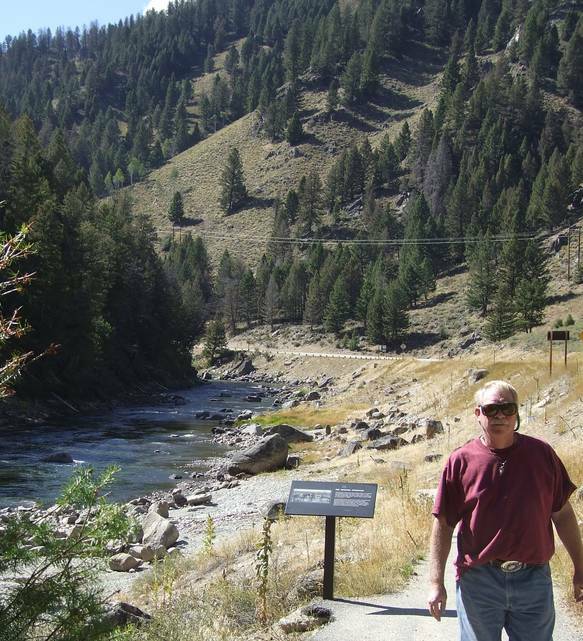 It is about 15 miles from here to Yellowstone west entrance. See the < on the picture. Monday saw the crowds disperse, and the campground empty out. By noon it was very quiet around here, and by mid afternoon there was only one other camper in our loop. Ron thought we should look for fire wood so we drove the campground loops searching for fire wood. Filled the back of the truck with firewood left at the various camp sites, no need to go any further. After firewood duty we drove up to Mack's Inn for a cup of ice cream and a look about. There were still a goodly number of people out on the river there, but the crowds looked smaller. Monday night saw my resumption of fishing. Had not seen much use in trying over the week end but with the crowds gone gave the Buffalo river another try. Waded upstream from the campground a fair distance, and finally found some deeper water. The deep water had concentrated the larger brook trout and I spent a couple house catching nice fish in the 8 to 10" range. We slept later then we wanted to on Tuesday morning, but we still made it to West Yellowstone by 10:30. Ron picked up a newspaper and read it in the truck while I wandered up and down the main drag of West Yellowstone. We had been there a number of years back and I had the image of a much bigger and more exciting place. Hit a number of the stores that advertised themselves as being rock shops in search of a bit of WY Jade in black or apple green, no luck at all one shop had a few slabs of the dark green jade and another had some British Columbia jade but no luck. I had found a bit earlier in Rawlins and now will have to be very frugal with what I have on hand. West Yellowstone on the day after Labor Day had a feeling of being abandoned to it. There was very little traffic, only a few people about and the shops all had the fall sale signs out. Did not see any bargains, Waders at $199. are still expensive. Picked up a few groceries while in town, milk, bread, oj and such and headed home. It is now raining lightly which it did all the way home. Hopefully it will quit later for some evening fishing. 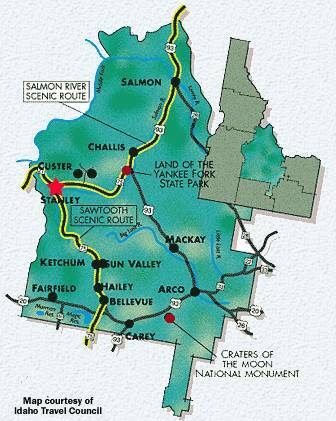 Tomorrow we are off heading toward Challis from just south of West yellowstone.. I have had our mail forwarding sent to Challis. I called the post office to make sure they accept Gen Del. mail. I hope there is a letter from BOA as my debit card expiration date is this week. Need a new card. Our bills are paid auto with this card. So I need to get the new exp. date off to those people. BOA sez the old date is good for a month after the exp. date so we shall see. Update: 7:30 PM Terry came back and had caught 8 brook trout 6 to 10" I hate it when he is happy. Description: 6000-foot elevation. 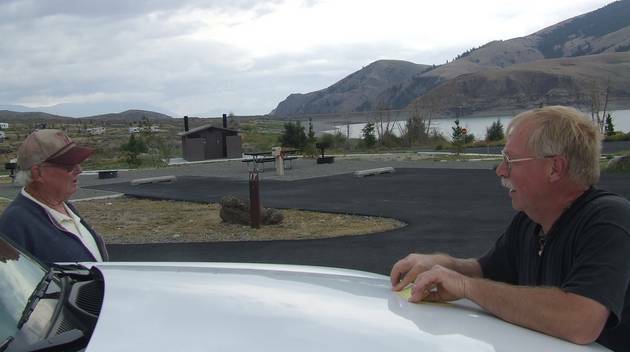 Mackay Reservoir Recreation site, at the southern end of the reservoir, is an overnight and day-use facility which includes 57 campsites, a picnic area, boat launching ramps and a trailer dumpstation. 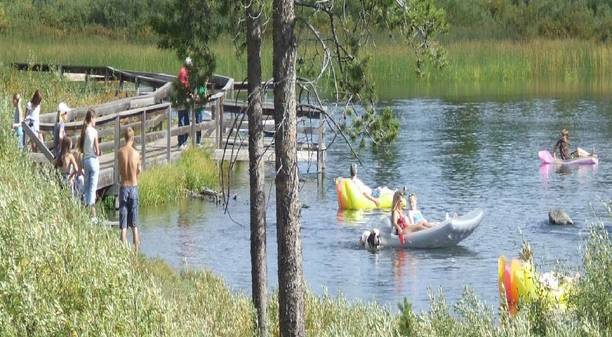 This campground is becoming increasingly popular with retirees for fishing, boating, and hunting. The reservoir is situated in the sagebrush grasslands of central Idaho. Mackay Reservoir and Chilly Slough abound with many species of wildlife throughout the year. This birdwatcher`s paradise comes alive in spring and fall when thousands of shorebirds and waterfowl, including cinnamon and green winged teal, mallards, shovelers, pintail, scaup, and Canadian geese, flock to the area`s mudflats. The reservoir also offers outstanding year-round recreation opportunities such as picnicking, boating, trout fishing, hiking, and camping. The Chilly Slough wetland, located 5 miles north, features a fantastic view of the 12,662-foot Mt. Borah. The wetland is home to a variety of wildlife, including willets, sandhill cranes, sora rail, marsh wrens, red tailed hawks, golden eagles, northern harriers, and tundra swans as well as wintering pronghorn antelope and mule deer. A 1/2-mile nature trail enables visitors to see the diversity of life found in the marsh up close. Location: Located 5 miles northwest of Mackay, ID. It rained much of the day on the drive down from Island pasrk through Idaho Falls. Then over on HW 20 to Acro and up HW 93 to the Mackay Reservoir. 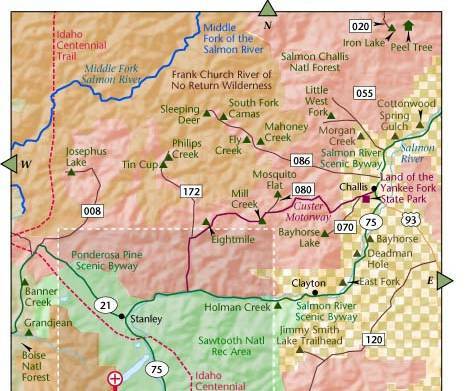 Challis is north of here as shown on the above map. Terry, talking to the camp host who was more then friendly. They are here till Oct. 1 and the campground stays open year round. They turn off the water but the res. is used for ice fishing. It is not snow plowed he sez so if you can get in and out you can stay. Bet the electric site get heavy usage with electric heaters. 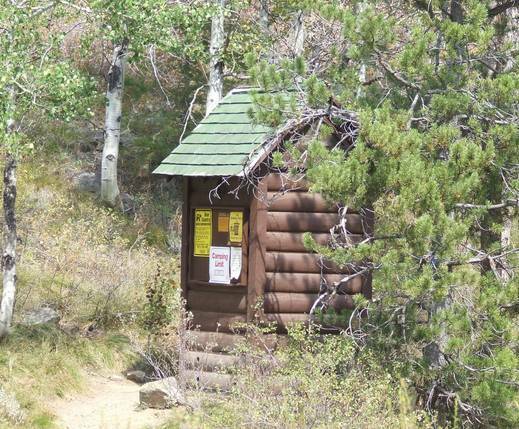 The forest service has realy improved this campground. It's top of the line. Very nice. Our site overlooking the reservoir. It is cool so we opted for an electric site for just $14. The FS sites at Island Park were all $12. We can run the heat pump, fridge. on electric and unlimited TV and internet tonight. Now this is living. We hear the weather is to warm up and be wonderful in a day or two. So we can cool our heals and just wait it out. It makes us appreciate the nice weather just that much better. About getting propane in Arco, ID. Things have slowed down after Labor Day, as we found the large propane dealer's door was locked with the lights on. We called the phone number on the door and they paged the guy to come down and refill our bottle. The propane guy (Steve) told Terry the fishing was good below the reservoir outlet. Now that we are here, we are just going to hunker down and feast on beef stew. (not from a can, Dintey Moore may be good, BUT). Happy Hour is a little early tonight as we are watching the NBC nightly news (comes on here at 4:30 PM MT time. It's great to land and be all set up... and have a 10 High in your hand. HI Bob. This is what we woke up to looking northest from the 5er at Mackay Reservoir. We think that is snow in them there mountian tops. 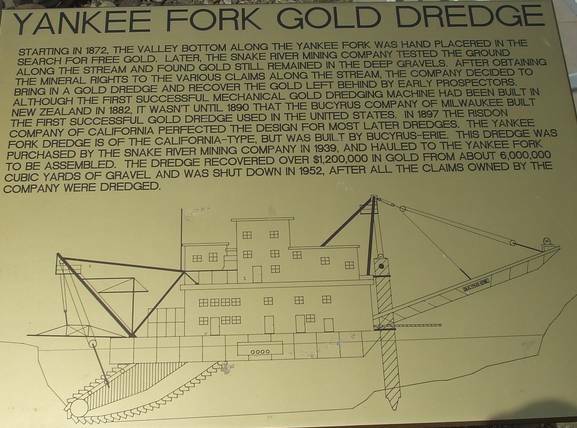 We stopped at the Land of the Yankee Fork State Park on the southern edge of Challis. Free and the staff were helpfull as to where to camp and road conditions. Not a nicer bunch of people would you want to meet. 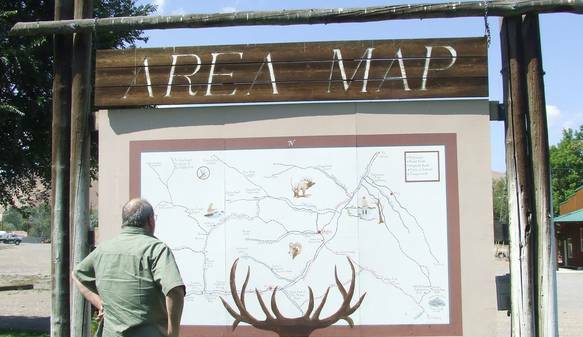 Later in Challis we had to check ou tthe town park and all the signs. 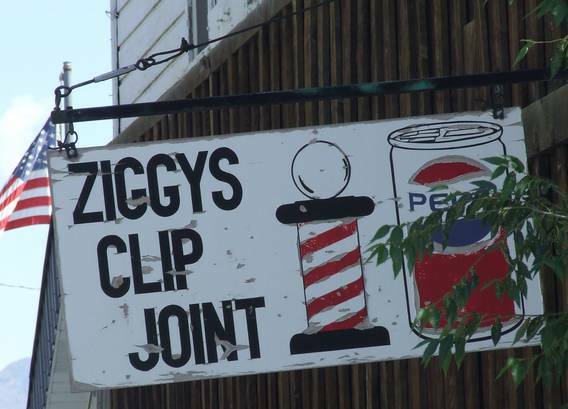 Think you would like to get your hair cut here in Challis. We drove down HW 75 a ways toward Stanley just to see where we might like to camp and fish next. We found a free undeveloped FS spot and a couple of other FS developed sites, so we have several choices for the days ahead. We hope our GD mail shows up at the post office tomorrow, Friday or we will have to stay for the weekend very close. As we were driving around Challis taking in the sights we stopped to look at the road map on a side street and a guy moving lawn yelled at us and came over to offer us directions. We chatted and found out they go to Yuma, AZ in the winter. He said most of Challis, ID heads out to Yuma or Quartzsite later for the winter. It was fun talking to him, and getting the local take on this area. We got back to the Cottonwood campsite (about 13 miles north from town right on the Salmon river. Another all upgraded FS campground.) It is just as plush as the Mackay res. site. No AC but we don't need that. Think for the weekend we have found a nice boondocking site south on HW 75 in a undeveloped FS area. It has new rest room but not much else and it is free right on the rivers edge. Now that we are back, Terry is out fishing and we shall see how is luck is in this area. It is hard but I need to try to slow down, as we have all month or more to get just across central Idaho. To say today was a good day is an understatement. The post office had our GD mail and in it my new debit card. Then down the road at the little burg of Clayton the lady in the small store let me use her office phone to call into BOA to make the card work. Wow what a friendly person. It seems we have been running into lots of those people. Since we didn't have to to go back to Challis for anything next week we decided to plow on and go to campgrounds a little further down the road. Closer to Stanley. That way we could set up a more central base for weekend exploring. Now who thought of that, do you think? Next stop was this old hot spring bath house. Terry walking up to the bath house. More later... You guesed it Terry is out fishing while I blog. Time to stop and watch the sunset and get into Happy Hour. It's Friday night, HBO and Real Time With Bill Maher will be on later. I think it's steak tonight for supper. 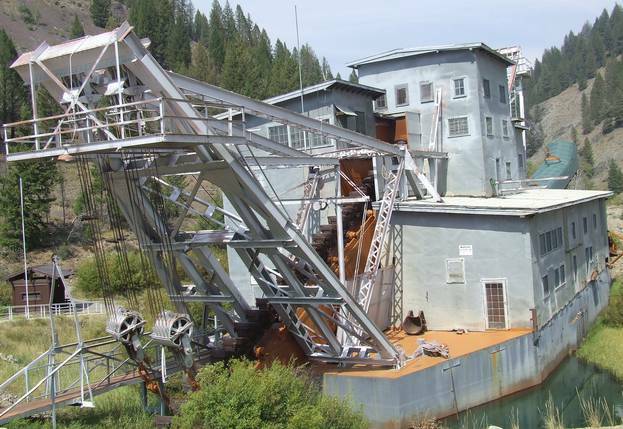 Went for a drive up Yankee Fork road and found this old dredge. On the way back drove over to Stanley to check with the FS service and tourist Info to see what the status of the Chief Parrish Fire was, as it is right along our route out of here, and they have been closing the road for several hours each day. Also at times one lane and a pilot car to guide people through. We are following the details at http://inciweb.org/ The sky is getting more smoky so we knew it was time to take notice. They tell us no chance of danger here, just to watch things as they develop. Sure glad we can get on the internet and get the lastest updates. Just saw a YouTube video of someone driving throught the fire on Route 55. Fire right up next to the road. Didn't look like much fun. By the way this was a human caused fire. Driving around this area it is so sad to see whole tracks of trees ALL dead on the mountain sides. 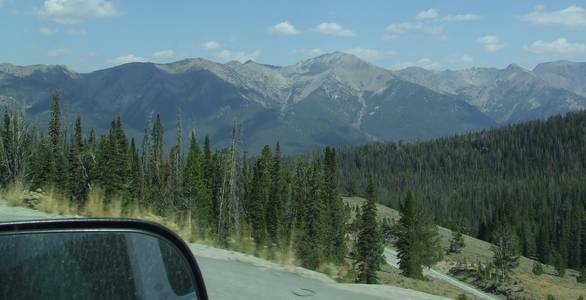 Driving up Yankee Fork vast stretches of forest were all gone where ever you looked. Much of the West's forests are dead and now it can't help but just burn. Campfires are not even allowed in campgrounds with fire rings, it is so dry. But the river still runs and we found out why no rafting on the Salmon in this area. There are salmon spawning in the river right here, 800 - 900 miles from the ocean. WOW We are a long way up in the river basin and for Salmon to swim way up here to spawn and then die is a wonder of nature. The return of wild salmon to Idaho's lakes and rivers has marked an important natural and cultural event for centuries in this state. Every summer, Chinook and Sockeye salmon battle their way upstream through the Columbia River from the Pacific Ocean to return to their birthplace to spawn. After the deed is done, the salmon die. Don't feel too bad for the fish; their hasty end is just one element of the salmon life cycle. 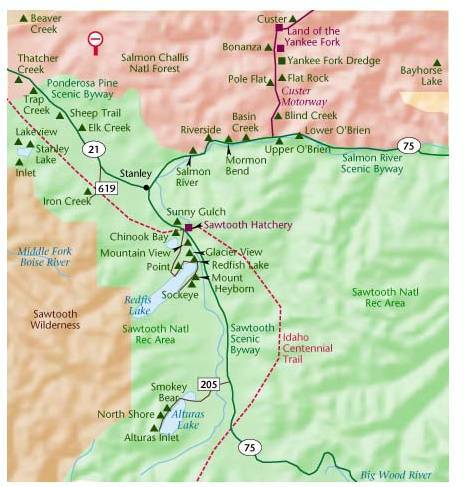 Travel to Sawtooth Valley and you might be able to witness wild salmon on the last leg of their life journey. In recent years, many have mourned declining salmon returns; the low numbers have been attributed to the eight dams that complicate the path of the fish between Idaho and the Pacific Ocean. Redfish Lake near Stanley was once so jam-packed with the ruby tinted Sockeye salmon that the alpine lake seemed to be colored a dark red. Seeing a Sockeye in Redfish is a rare event these days (only two have returned to the lake thus far this season), but don't be discouraged. 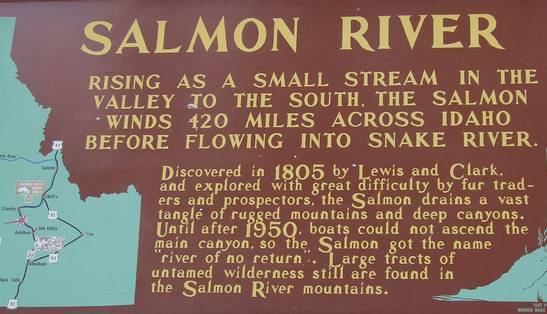 Unabashed naturalists can check out the tributaries of the Salmon River and find other types of salmon spawning. Many Chinook manage to make a successful return to their origins, despite the eight concrete obstacles that hinder their path. Once the Chinook return to the creek where they hatched, they might mill about for days while their bodies prepare to spawn. When the mood is right, the females will build gravel nests and lay their eggs. The males then fertilize the eggs. If you spot a large fish turned on its side flipping its tail, know that you're a lucky witness to that magic moment. The tail flip is the adult female nest-building maneuver; there are sure to be one or two lurking males eager and ready for her to lay thousands of eggs. There are several locations near the Salmon River that are renowned for being popular Chinook spawning sites, notes Sawtooth Hatchery manager Brent Snider. But curious spectators should be respectful, he advises. Keep voices low and observe the fish discreetly from the shore or bridges. 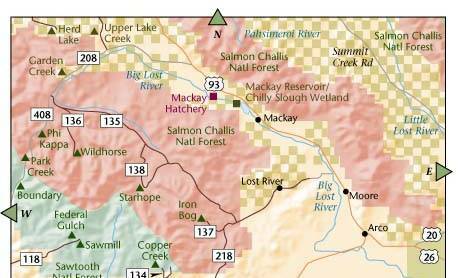 Snider recommends checking Alturas Lake Creek near the road to Petitt Lake to see spawning Chinook. You can search for salmon from the bridge that crosses the creek. If you don't have any luck, try Huckleberry Creek, near the stream's junction with the Salmon River. 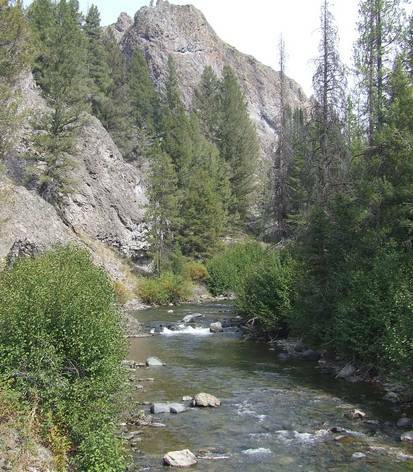 In late August, Chinook have also been spotted at Indian riffles, one mile below the Yankee Fork of the Salmon River. Kokanee salmon, a smaller species of Sockeye, can often be seen spawning in Fishhook Creek near Redfish Lake. Unlike the anadromous, ocean-seeking Sockeye that most are familiar with, these fish live out their entire lives within the lake, but move to the creek to spawn in mid August. 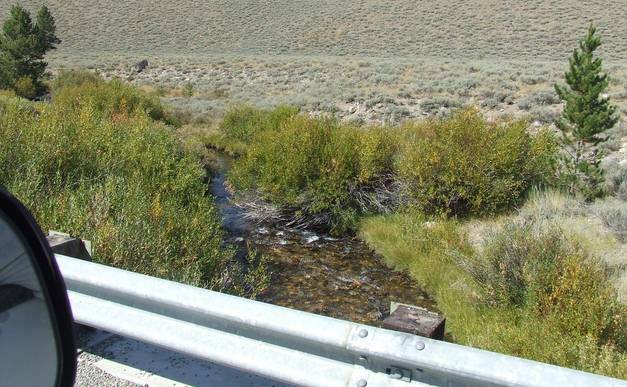 A good place to look for them is from the Fishhook Creek bridge near the Forest Service visitor's center. 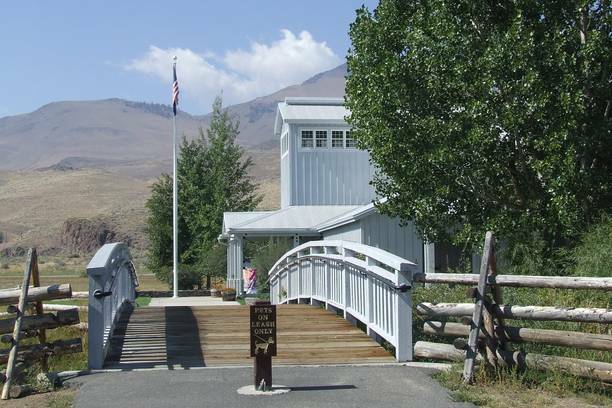 Those who don't want to risk the disappointment of not finding any creek spawners can head to the fish hatchery. 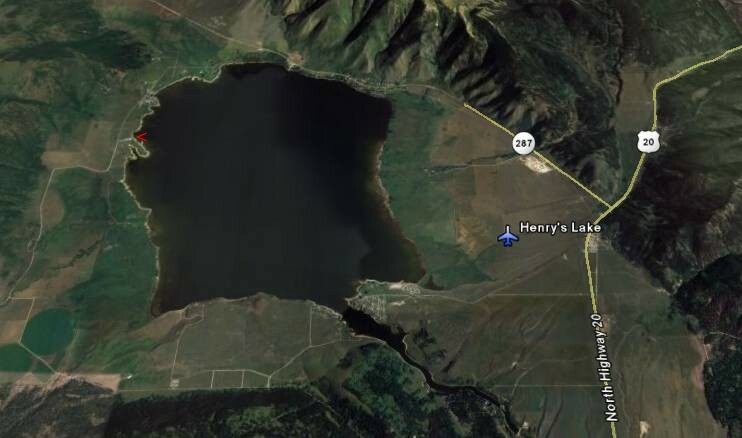 Located about 8 miles south of Stanley on Highway 75, this state fish and game facility harbors hatchery fish that return from their Pacific voyage, as well as other native and non-native species. They "spawn" returned hatchery Chinook every Monday and Thursday, and visitors with a strong stomach are welcome to watch from an observation deck. Although the hatchery spawning process is quite different from what goes on in the wild, some might find it interesting. "First we determine the ripe females," Snider describes, "Then we stun the fish, remove the eggs, strip the milt from the males and fertilize the eggs." Curious as to what "milt" is? Find out and learn more fun fish facts at the hatchery's informative interpretive center. Whether your own salmon journey involves a trek to a tributary of the Salmon River or a visit to the hatchery, make it soon. The Chinook and Kokanee generally finish their business before the end of September. Instead of just getting up and going in to get a Sunday paper and come back, we both went into Stanley, ID and ate out (a rare treat for us) at the local motel restaurant. They were crowded and we had to sign up on a wait list. But the 30 min wait was worth it as the offerings were huge. We both had a Stanley Skillet which consisted of a scrambled eggs with country ham (you could taste the difference) and veggies with cheddar cheese. A truckload of hash browns and toast. Enough for any two people in one severing. The next deal was to drive south on HW 75 down to Ketchum to see the sights. We drove back off the road into a couple of nice lakes, but again the trees are in bad shape and not pleasant places to camp in our estimation. Next what a mountain pass to get there. (8700 ft) Colorado has nothing up on that road. I knew when planning our route a few weeks ago there was a reason not to come up through Ketchum and I found out why in a big hurry. We also knew they were having fires and that was part of it at the time. After driving around the tourist trap such that Ketchum is, we found a gas station. (the only one we could find) and headed back to our campground. Ketchum and Sun Valley is the Aspen of Idaho I assume, and rich was the flavor of the day. New condos and commercial buildings going up everywhere. We got to see some of the burned out areas and a firefighter field camp was still set up on the edge of town. Round trip of 140 miles. So I'm tired and ready to get this posted and sip a little 10 High Manhattan and relax while Terry heads off fishing again. We found the headwaters of the Salmon river between here and Ketchum. Just a tiny creek at that point. We took some mountain views but just to smoky to turn out very good. 5 PM Pics of the Chief Parrish Fire on www.inciweb.org web site alonge Route 55 which we will have to drive through to get out of here. Boise, ID - The Chief Parrish Fire along Highway 55 (south of Banks) is now at 3,960 acres and is 75% contained. Full containment of the Chief Parrish Fire is anticipated this evening. Today, Highway 55 between Horseshoe Bend and Banks is open to one-lane traffic with a pilot car system. Plans are to open the road to two-way travel later this afternoon. Those traveling Highway 55 are encouraged to use caution. Expect dense smoke and rolling debris from the burned hillside above the road. Have question or comment about our blog life... We love email.